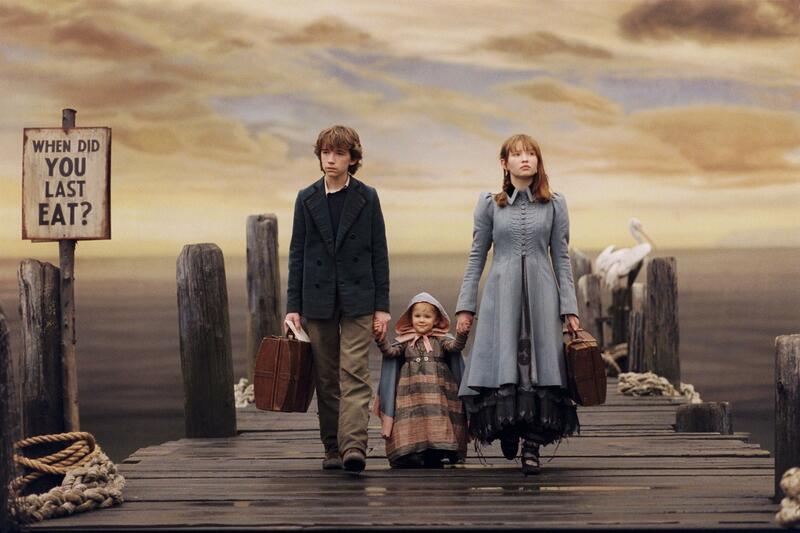 Another throwback for Netflix as the streaming giants announces it will be adapting Lemony Snicket’s popular children’s books A Series of Unfortunate Events into a television series. The news is confirmed as it is announced that Barry Sonnenfeld (Men in Black) will be directing the project, supported by Mark Hudis (True Blood) who will act as show runner and executive producer alongside Sonnenfeld. And as if determined to get this right, Netflix have brought author Daniel Handler (whose pen name is Lemony Snicket) on to further executive produce the show. The series will be produced in connection with Paramount, who also produced the 2004 film adaptation of the first three books, that starred Jim Carrey as the villainous Count Olaf alongside rising star Emily Browning (Legend). The franchise follows the three Baudalaire children, Violet, Klaus and Sunny, after their parents death in a fire, when the children are initially placed in the custody of their relative Count Olaf, who attempts to steal their inheritance. However, after Olaf’s plan to steal the Baudelaire’s fortune fails, Olaf begins to doggedly hunt the children down, bringing about the death of several characters, meanwhile the Baudelaires discover more and more about a mysterious organisation known as V.F.D. Since the release of the first novel, The Bad Beginning, in September 1999, the books have gained significant popularity, critical acclaim, and commercial success worldwide, spawning the film, a video game and assorted merchandise alongside the main thirteen books in the series which have collectively sold more than 60 million copies. So while not much else is known about the show, including no timetable for the production being set, you can understand why any child born in the 90’s should be excited by what Netflix has got planned. « Trainspotting 2 – It’s Happening!